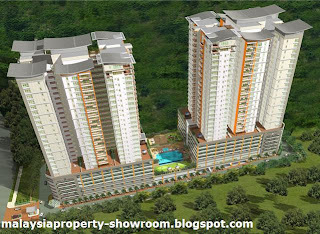 Ceriaan Kiara is a high end luxury condominiums located on 3.06 acres of prime land in Mont’ Kiara. Strategically located in the exclusive Mont Kiara enclave just across the Garden International School with direct access to expressways linking Kuala Lumpur city and Petaling Jaya. It is also close to established areas such as Bangsar and Damansara Heights. The Ceriaan Kiara condominium is equipped with full fledged facilities and located nearby the international schools. The high end luxury condominiums will be built to meet demand for bigger units, from 1,800 sq ft to 2,200 sq ft for each unit with a total of 238 units. Built-up Area : 1,800 - 2,200 sq.ft.